Satellite picture of Tanauan City. Image credit: Google Earth. This article is part of a series that focuses on historic and folkloric trivia about the barrios of the towns and cities of Batangas. Information contained in this series has been extracted from documents on the country’s barrios, towns and cities written in the 1950s and digitized for posterity by the National Library of the Philippines. The source for each barrio is conveniently hyperlinked for any reader who wishes to follow through. If your barrio is not included, it may be due to a variety of reasons: your barrio was still part of a bigger barrio back in the 1950s when the documents were collected; there was no document submitted about it by the schools in the area; or a document was submitted but contained insufficient information. In the 1950s, there was just one barrio in the then-town of Tanauan that was named Altura. The northern and southern parts of the barrio were called Alturang Matanda. The western part, however, was called Alturang bata. Altura in Spanish means height or altitude. Thus, according to folklore, the barrio was so named because of its topography. A quick check of Google Maps shows that the barrio is, indeed, close to the mountains of Tagaytay. The barrio’s first settlers were the Panganibans and Orugas (north Altura); Vispos and Castillos (west Altura); and Maranans, Riveras and Nopradas (south Altura). Supposedly, the barrio of Ambulong used to be where the original town of Tanauan was. From its shores, one could glance across Bombon or Taal Lake at other lakeshore towns like Lipa, Malvar, Talisay, Cuenca and Taal. Hence, the name Tanawan or its Hispanic spelling Tanauan. Ambulong used to be a mere part of old Tanauan, and its name, according to folklore, was derived from the buzzing sound of “Ambubuyog” (probably “ang bubuyog” or the bumble bees). The Spaniards also called the barrio Villa Kiran, supposedly a place in the medieval kingdom of Castilla. According to folklore, Ambulong got its name from the buzzing sound of the bumble bee. Image credit: Mo on Flickr. According to folklore, the name Bagbag was supposed to have been a derivation of “nababagbag” which in Tagalog is destroyed or, in the context of soil, eroded. A quick check with Google Maps shows the barrio close enough to Taal Lake to make this folkloric explanation viable. The barrios original families were the Sandovals and the Gutierrezes. Bagumbayan was originally settled by the Castillo family. Its name was supposed to have been derived from a sentence uttered by an Ilocano spy of the Filipino insurgents or revolutionaries “during the dark days of the Guardia Civil.” He supposedly said, “Bago bayan kita na kuartel” (Before the town you can see the cuartel. The cuartel was, in Spanish colonies around the world, the military or constabulary barracks. American troops in formation in front of the plaza and cuartel in Tanauan during the American colonial era. Image credit: University of Michigan Digital Collections. According to folklore, a priest was once asked to bless the barrio chapel. The road to the barrio was slippery, so the priest had to ride a horse to get there. He was very tired when he got to the barrio, but got on with the ceremony, nonetheless. On the way home, because he was so tired, he was unable to keep his balance and fell from the horse. Somebody who spoke with a stutter supposedly saw what happened and in horror shrieked, “Bali-li!” That was how the barrio got its name. Incidentally, although no records corroborate this, the barrio was estimated to have been founded between 1800 and 1825. In the present day, Tanauan City does not have a barrio named Balokbalok. There is, however, one called Bilog-bilog. I am personally not familiar with either and, therefore, will presume that they are one and the same. At any rate, what was then the barrio of balokbalok was supposed to have gotten its name from a tree. This would likely have been the bani or pongam oil tree, also called balok, balok-balok or even balotbalot in Tagalog1. The barrio’s original settlers were the families of Justino Hernandez, Constantino Mazo, Felipe Tesoro, Mariano Pedraja and Felix Uniporme. Presently, Balokbalok is called Pagaspas. Balokbalok was supposed to have been named after the bani tree. Image directly loaded from Philippine Medicinal Plants. The word bañadero in Spanish means “bathtub,” and immediately give a clue as to why this barrio was so named. The barrio was supposedly once blessed with “refreshing and healing springs” that people visited to bathe in. In the early fifties, one old man conjectured that the barrio was established roughly two centuries before. Before the coming of the Spaniards, the inhabitants of this barrio were said to have lived in groups of houses separated from each other: Bahayan to the west; Labak to the north; and Looban to the south. When the Spaniards came, a cabeza (head) was appointed and asked to collect tributes or taxes. The cabeza supposedly failed to do so because the houses were too far from each other. So that the cabeza would have no more excuses for not collecting the taxes, the Spaniards ordered all these families to transfer to a place close to the road called Bulaos. They built their houses in a circular pattern; and this was how the barrio supposedly got its name. The barrios original settlers were the Molinas, Parras, Manaigs, Lucidos and Lumbreses. According to folklore, this barrio’s original name was “Boto” (pronounced buto). Cacao supposedly once grew abundantly in the barrio and the “boto” or “buto” was supposed to have been taken from their seeds. For some unexplained reason, over time locals started to say Boot instead of Boto. The barrios original settlers were the Burgoses and the Carandangs, and there were just 14 houses. Boot was supposed to have been named after cacao seeds. Image directly loaded from Chocology today. According to folklore, during the Spanish era, the Guardia Civil, wary of a brewing insurrection, would keep asking the men of the barrios where they were headed. Their reply would always be, “Magbubungkal ng taniman (to till the plantation).” Then, they would ask what the men had under their arms, to which the men would reply, “Binalot po (packed meal).” In many of these folkloric stories about the origins of the names of towns and barrios, there was always bound to be one stupid Spaniard. One day, one such Spaniard was supposed to have concluded, “Aha! So this place is called bungcal binalot!” The barrio was established in 1755 and the Panghulan family were the original settlers. In the present day, the barrio is called Banjo East. The name of this barrio used to be Calle, or the street. To be more specific, the name referred to the calle or street where the Spaniards lived. The barrios original inhabitants were the families of Leon Mercado, Policarpio Melanio, Placido de Luna, Gavino Oñate, Francisco Terrible, Luis Manaog, Luis Terrible, Santiago Umante, Martin Olivar, Dionisio Panganiban, Juan Malabanan, Alfonso Luna, Tomas Manimtim, Cecilio Mercado, Agido Mercado, Felix Miano, Atanacio Maitim, Proto Legrero and Domingo Arroyo. There were two versions of how Darasa obtained its name. One said it was from “daras na,” daras being a tool for clearing shrubs and “daras na” meaning already cleared. The other said that the name was taken from “daza,” which was supposed to be “a word used to designate lineage or blood relationship.” The word, then, implied that “many talented and intelligent individuals were offspring of families born in the barrio.” It is worth noting, however, that “daza” is Spanish for a dagger, so the second derivation seems somewhat farfetched. The barrio’s original families were the Carandangs, Valencias, Sabalvaros, Licartes, Lirios, Gonzaleses, Magsinos, Macahias and Oñates. The barrio of Ikik was established during the Spanish era and settled by families originally from Taal. Presumably, the migration was through the lake or along its shores. These families were those of Simon Aala, Agustin Perez, Praxedes Regalado, Alvaro Pedrz2, Pedro Molinar, Leodigario Aala, Melecio Molinar and Isabelo Pedrz. Ikik is presently known as Montaña. The pioneers of barrio Ikik were originally from Taal. Maugat used to be part of Ambulong until it got its first teniente del barrio (barrio lieutenant) in 1893. 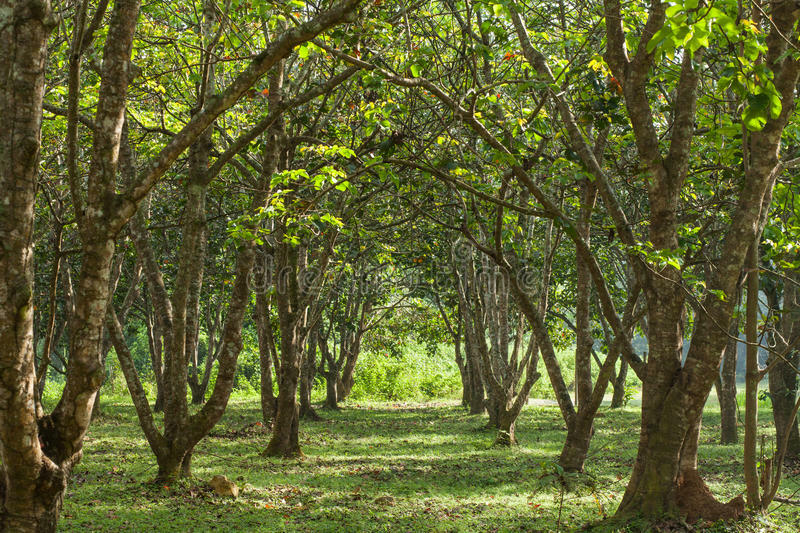 The barrio’s name, according to folklore, was supposedly taken from the large protruding roots of trees along the lake under which fishermen used to seek shelter during rainy days. The barrio was first settled in 1820, and the original families were the Colicos, Mercados, Lucidos, Carandangs, Enriquezes and Gonzaleses. From Taal would follow the Calubag and Landicho families; while from Lemery would come the Mirandas, Alvarezes, Tolentinos, Sipidas, Tenorios, Aalas, Casabals, Damasinos and Mangubats. Barrio Natatas was founded more than two centuries ago. Its name was supposed to have been derived from the Tagalog “nataas,” meaning going up or going uphill. The barrio’s original settlers were the Plete and Nuñez families. Barrio Pantay was founded in 1867, and its name was supposed to have been given as a description of its topography. The original settlement was over flat or level lands, which was said to have been “pantayanin.” The barrio was first settled by four families: the Motases, Sumaguis, Almendrases and Manimtims. In the present day, the barrio has been divided into Pantay Matanda and Patay Bata. A road under construction in Tanauan during the early American era. Image credit: University of Michigan Digital Collections. Barrio Sambat originally was part of Natatas, but when its population had grown, the municipal council passed a resolution formerly separating it from its mother barrio. The name Sambat was supposed to have meant an “intersection.” The barrio’s original families were the Platons and the Molinyawes. This barrio was established in 1785 and was formerly known as Pinagdaanan. 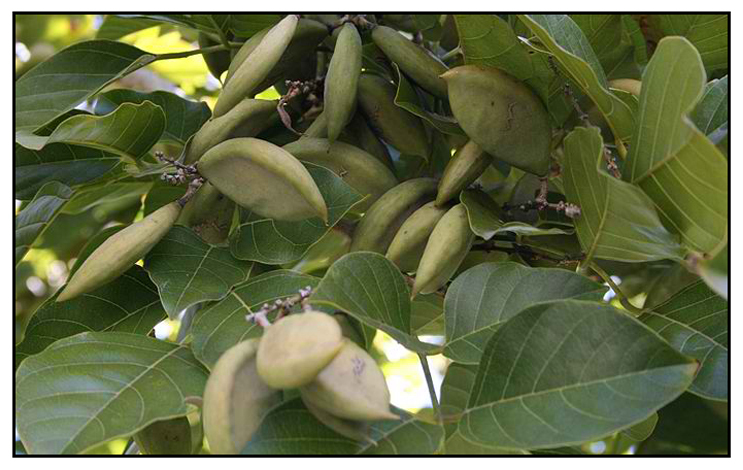 It was later renamed Santol after the cottonfruit trees that grew in abundance in the area. The barrio’s original settlers were the Laurels and the Garcias. Santol was so named after the santol trees that used to grow in abundance in the area. Image directly loaded from Dreamstime. When the barrio was still a small settlement and still unnamed, its patron saint was San Pastor4. One day, a member of the Spanish Guardia Civil was supposed to have come along and asked some children playing what the name of the barrio was. The children thought he was asking them the name of their patron, so they replied, “San Pastor!” The guard kept repeating how he heard the name, “Santor,” until it became the barrio’s name, or at least according to folklore. The barrio’s original families were those of Florentino Perez. Juan Lanting, Jacobo Gonzales, Gaspar Motilla and Mauricio Castillo. Barrio Sulpoc was established in 1813. Its former names were Sulok and Pinagbahayan. Its present name was supposedly derived from “a folktale in which the principal character was a game named Sula.” This probably explains the “sul” part of the name; unfortunately, my source document does not explain the “poc” part. At any rate, the barrio’s original settlers were the Regalados and the Natividads. This barrio was the site of a Spanish cuartel or military barracks during the Spanish era. The cuartel was surrounded by tall trees and thick bushes which served as a defense against insurgents. Fighting between the Spaniards and the Filipino revolutionaries was supposed to have taken place in the barrio. Unfortunately, my source does not provide an etymology related to its name. The barrio’s original families were those of Ponciano Cabrera, Donato Redondo, Prudencio Redondo, Cristituto Cabrera, Filomeno Austria, Liberato Villarino, Moises Perez and Rufino Cabrera. The name of this barrio was supposed to have been taken from an old Tagalog that means a well, which in contemporary Tagalog we will call “balon.” From this piece of information, we can surmise that this was a well from which the entire settlement obtained its water. The barrio was established in 1870 and settled by the families of Juan Mercado, Silvestre Quimio de los Santos, Juan Mercado and Lorenzo Dimayuga. Talaga was supposed to have been named after a well. Image directly loaded from Mindoro 21st Century Association. According to old folks back in the fifties, this barrio existed long before the arrival of the Spaniards, although the original settlement was in a different place called “Bungliw” after the trees that grew in the area. Its present name was supposed to have been derived from a freshwater shrimp which used to thrive in the area’s creeks, the “ulang.” The barrio’s original settlers are unknown. 1 “Bani,” Philippine Medicinal Plants. 3 In contemporary Tagalog, “pulo” means an island. The word must also have once meant a forest because Lipa’s Muntingpulo was also once a forested area. 4 According to Catholic Online, San Pastor was a priest of Rome who was reported to have been the brother of Pope St. Pius I.